Hard to believe, but summer is upon us! My daughters and I have just one and a half weeks left of school, so I've started to really think about what I want to do this summer beyond the big trips and home improvement projects. Although I am a big believer in using my summer break to be productive for home and work, I of course want to take advantage of the extra time to relax with my girls! It's easy to daydream about all the fun little things I'll do over long breaks, but I've found that if I don't actually make some kind of list of the things I want to do, I get to the end of the break without having done much of anything, and I regret not getting more out of my time. Not that I think we always need to do more stuff and stay busy for time to be well-spent, but I enjoy doing new, fun things over break that we don't have the time for during the school year. 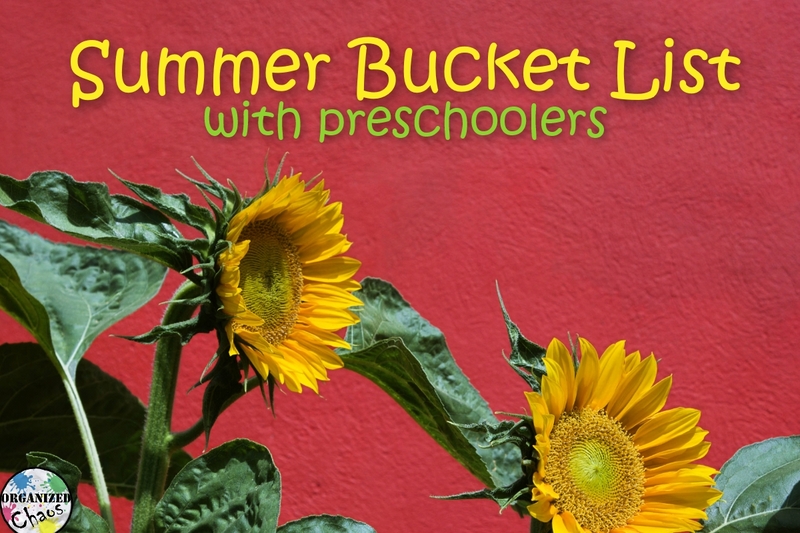 I've come up with a small "bucket list" of things I want to do with my preschool-age daughters this summer. You'll notice a lot of the items are low-key, quick activities, not big, expensive events. 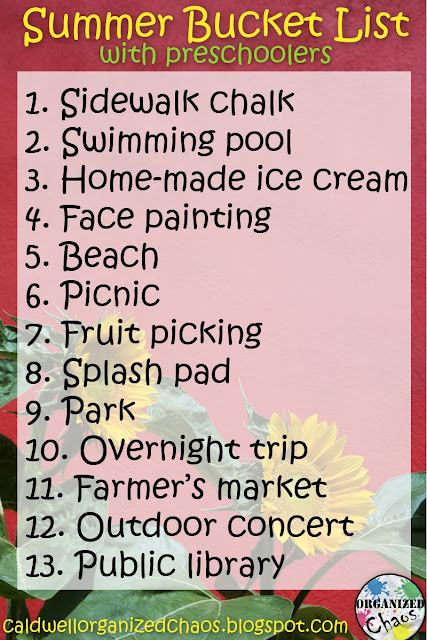 I'm hoping that keeping this list in mind will help us really get the most out of the summer break while still giving us the freedom to relax, rest, and be spontaneous. 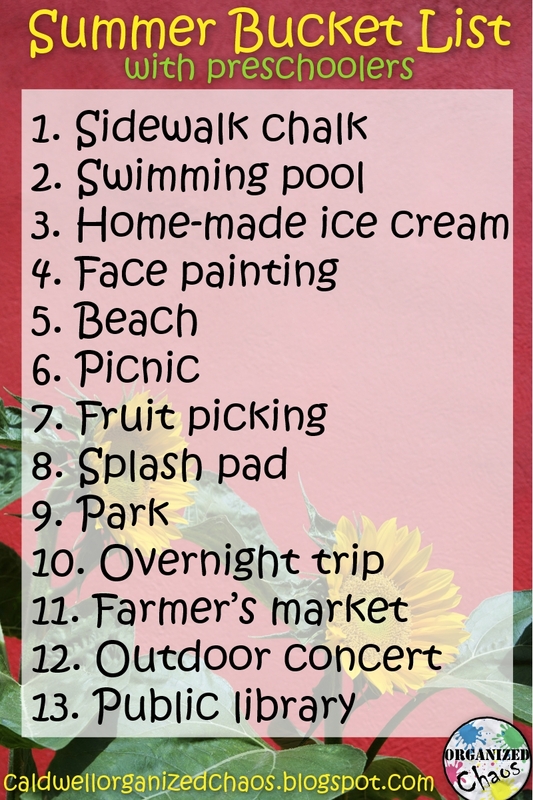 What are some of the things you hope to do this summer? If you want some help organizing your thoughts, or even planning for a trip, check out my summer organizer. Want more? Subscribe right here to the Organized Chaos newsletter and get music teacher ideas and resources for home and school sent straight to your inbox!